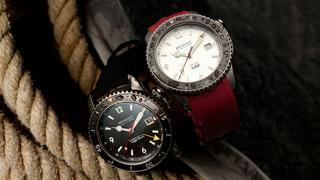 Fine British watchmaker Bremont has once again expanded its America's Cup watch collection with the first timepiece designed specifically for women. Coming hot on the heels of the brands unveiling of its first women's range earlier this year, the AC I 32 is a mechanical chronometer based on the original AC I timepiece inspired by legendary J Class yachts. Crafted with a 32mm steel case suitable for smaller wrists, the AC I 32 is powered by the BE-10AE calibre movement with a 40 hour power reserve and water resistance to 50 metres. It will be made available as a limited edition of 535 pieces with Bremont co-founder Giles English commenting that the timepiece 'seemed like a natural extension of the line' after the popularity of the original AC I. 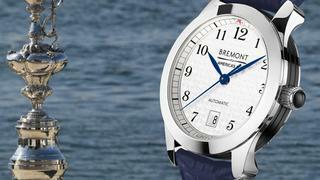 In March 2015 Bremont unveiled four new chronograph Regatta timepieces in the America's Cup collection. The new additions included two Regatta AC models and two Regatta OTUSA models created with input from America's Cup partner Oracle Team USA. 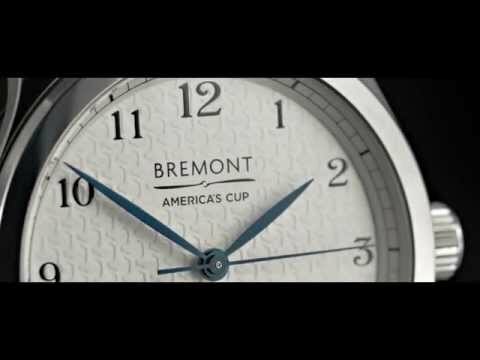 This partnership and Bremont's appointment as the first official British timing partner of the America’s Cup since 1851 were the original inspirations behind the special edition series which initially featured four watches - two in the America’s Cup series and two in the Oracle Team USA series. The Regatta timepieces feature a new Bremont Regatta calibre which was specially designed for use by sailors after Oracle Team USA stressed the importance of countdown functionality when racing. 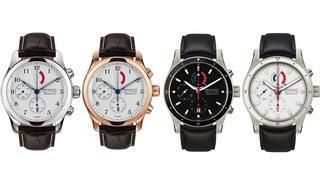 All four models incorporate two countdown chronograph movements unique to the Regatta calibre. The Regatta AC is available in stainless steel or rose gold with a brown leather strap. The 43mm case features a white dial and luminous blue hands with water resistance to 100 metres while sub dials offer a five minute countdown, date and 12 hour counter and running seconds. The Regatta OTUSA, meanwhile, is available in a limited edition of 235 of each of its black and white satin titanium versions. The model is a true collector's item thank to the fact that each watch's crown will feature high-grade carbon fibre from 2013's winning Oracle Team USA AC72. The 43mm watch also features water resistance to 100 metres with sub dials showing running seconds, a date and 12 hour counter, 15 minute regatta timer and five minute countdown. Featuring the AC I and AC II timepieces, the America’s Cup watches in the collection are inspired by the original J Class sailing yachts of the 1930s. Both classic in their design, the AC I is a chronometer-rated automatic watch with a polished steel case and blue Temple Island rubber strap while the AC II is a bi-compact chronograph with a rose gold case and brown leather straps. Both watches feature elegant blue steel hands, are water resistant to 100 metres and incorporate Bremont’s signature sapphire crystal exhibition case back – ideal for anyone with a interest in horological movements. 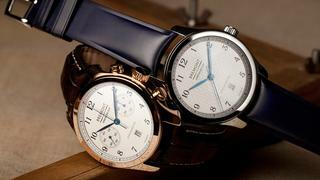 As a reference to their special edition status, both watches also feature the outline of the Auld Mug to their dials. The Oracle Team USA series, on the other hand, is much sportier and robust. Designed as a purpose built timepiece for use on the water, the Oracle I is evolved from diver and military favourite, the Supermarine. This chronometer-tested watch features an anti-shock movement, anti-magnetic Faraday cage and stainless steel case. The red rubber strap, red-tipped minute hand and logo to the dial and case back all reinforce the watch’s association with Oracle Team USA. The Oracle II timepiece was designed with the same principles and case technology as the Oracle I but incorporates a second time zone, which enables GMT functionality. The matte black dial adds to the visibility of the watch hands and is finished with the words America’s Cup, while the Oracle team USA logo is etched on to the case back. Created with input from the team’s sailors, these durable, highly engineered and technically innovative designs are also waterproof up to 500 metres making them ideal for the modern sailor.